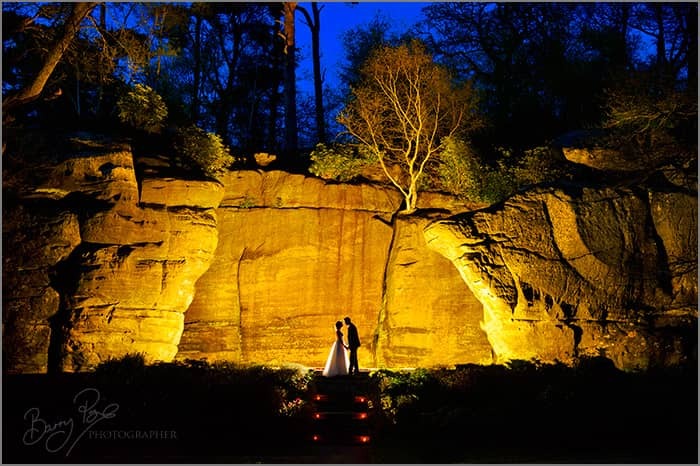 April this year saw me heading for one of my favourite wedding venues in England, the magnificent High Rocks near Tunbridge Wells. 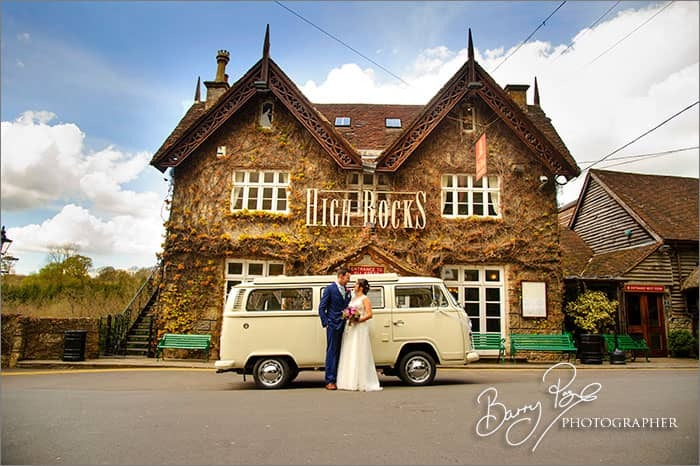 The happy couple were Rachelle and Tom, and High Rocks is simply the most sensational venue around. 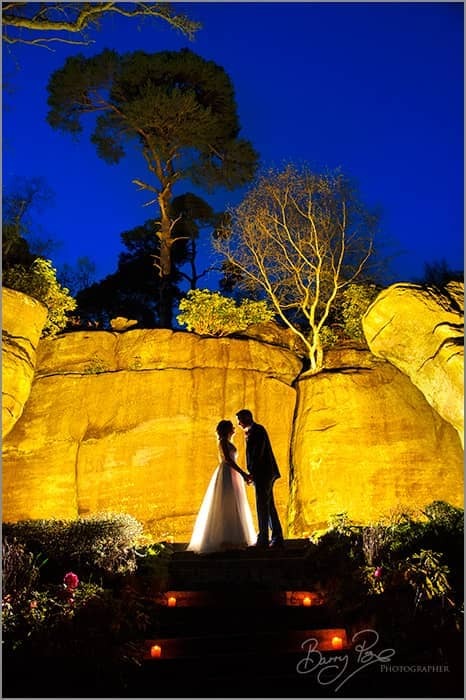 It’s well known in the south east already but the venue’s new practice of illuminating the ancient rocks at night make it even more special, worthy of a national reputation. In fact, when I uploaded a photo of the stage lit at night, it nearly blew up my Facebook page! 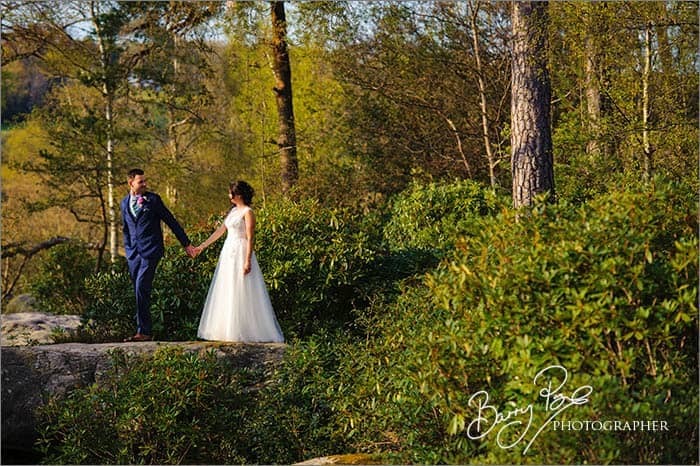 The place is owned and run by husband and wife Giuseppe and Maggie, and Giuseppe comes with four decades of experience as a restaurateur, hotel owner and wedding host. 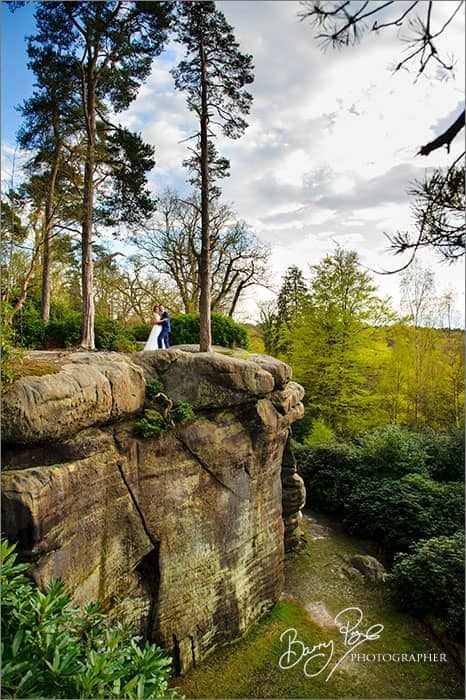 The High Rocks is secreted down a lovely country lane, and you wouldn’t believe it’s only a few miles from the centre of bustling Tunbridge Wells. 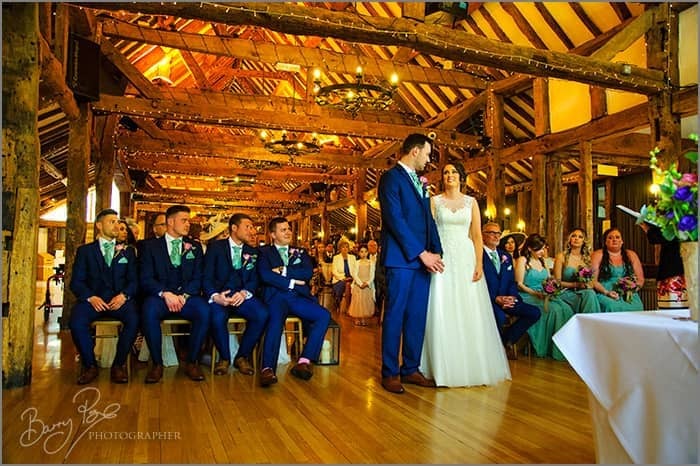 The venue boasts four magnificent oak-beamed function rooms, each with its own bar and dance floor. It’s all very beautiful, wonderfully presented and totally classy. But there’s more. The main attraction has to be the acres and acres of gorgeous gardens, with their quirky steam train stop and the ancient rocks themselves, so unique they’re a national monument. 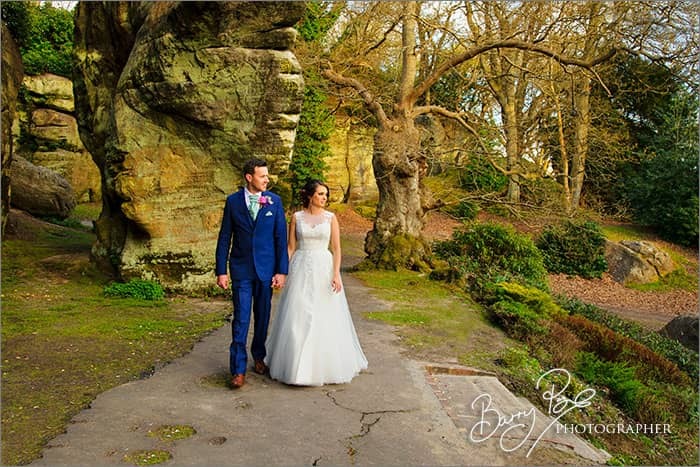 Formed when the last Ice Age’s glaciers retreated and originally a Stone Age camp, the remarkable rocks are set in glorious woods and provide a truly stunning backdrop for wedding photos. They date back millions of years, made from Ardingly Sandstone and linked by eleven towering, dizzying wooden bridges built in the 1800s. The effect is not unlike a magnificent Japanese garden but in a stunning tranquil English woodland setting. 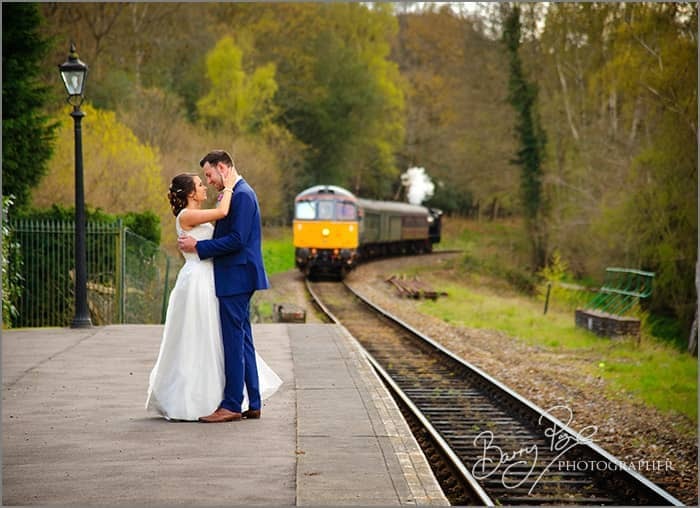 A popular tourist attraction from the 1600s onwards, the venue connects with Tunbridge Wells itself via the Spa Valley heritage Railway. The rocks, also popular with climbers, are breathtaking, dramatic and surreal during the day. But lit up by night, colourful and vivid, they’re completely magnificent, an extraordinary sight you’ll never forget. The venue’s owner Giuseppe only started illuminating the rocks at night recently, and Rachelle and Tom were the very first to be photographed with the huge, dramatically-lit boulders as a backdrop, a fabulous edge to an already exceptional wedding venue. 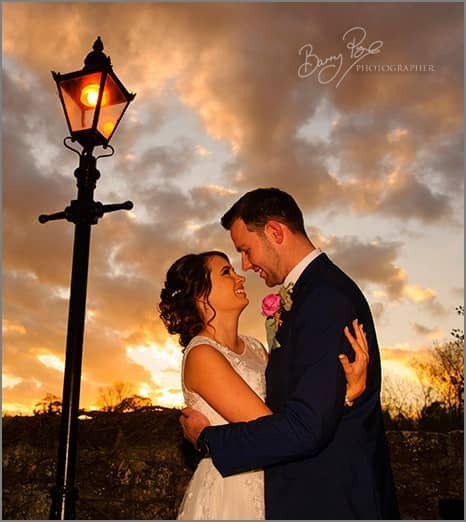 Rachelle and Tom’s wedding went perfectly, thanks to a talented team of professionals who pulled out all the stops to create an event to remember. 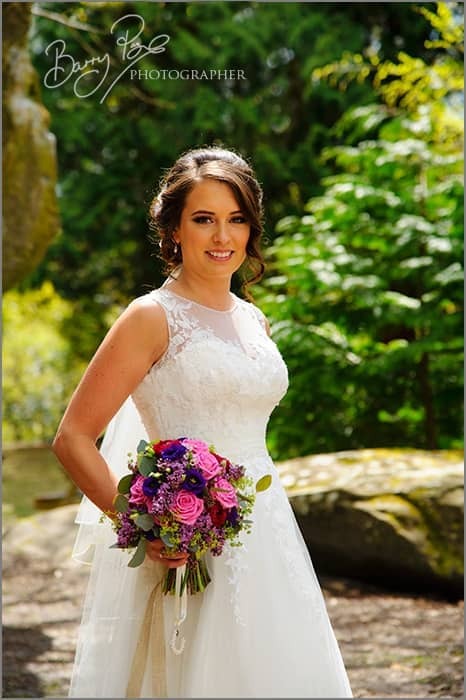 The couple’s florist was Rachelle’s old friend and Hastings-based florist Kate Neech Mrs Neech Flowers and the make up artist was Rachelle’s sister Marissa Fittall. The men’s glorious vivid blue suits came from Moss Bros and the bridesmaid dresses from The Bridal Factory in St. Leonards on Sea, with accessories from John Lewis. Rachelle and Tom brought all sorts of family talent into play to create their unforgettable wedding. 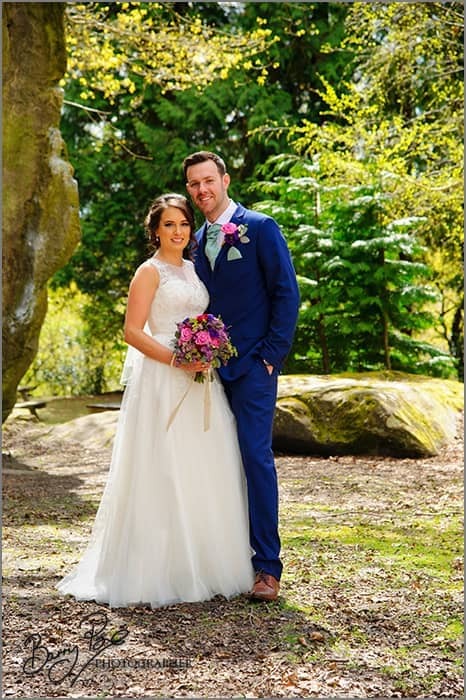 Rachelle’s fabulous dress came from Blessings in Brighton, skilfully altered and adapted by her grandma, with shoes from Rainbow Club at John Lewis and rings from Peridot Jewellers Ltd in St. Leonards. Hairstyling was by Rachelle’s neighbour Alli Winter and her stylist Rebecca Mabb, from Tic Toc Hair in Pett. And the Venue Chair styling came courtesy of Couture Events Kent Ltd. The bride’s grandparents and mum were born in Sri Lanka and Rachelle really wanted people to try a Sri Lankan fruit cake, a joint effort by her mum, grandma and mother in law, rich in Madeira and chocolate. Rachelle helped bake the cake and has now mastered the recipe for the future, carrying on the family tradition. And the Photobooth Selfie Pod, which proved enormous fun, was provided by TC Photobooths. 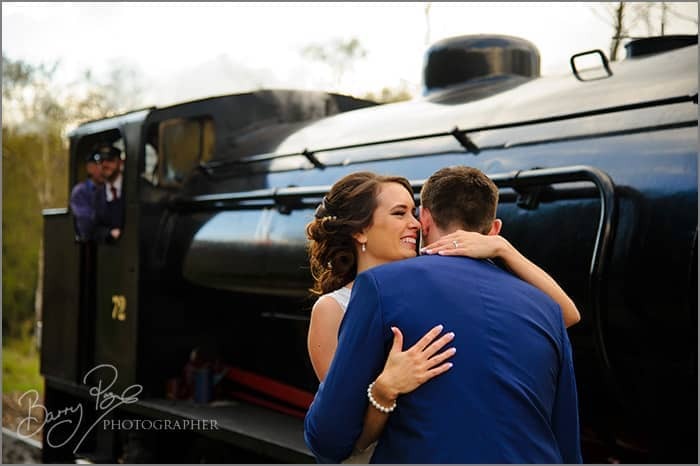 The Bridal Car delivered the event’s most heart-warming story. It was the very same camper that Rachelle’s dad had when she was a little girl, the beloved centre of wonderful family camping holidays over a happy childhood decade and a vehicle with a host of great childhood memories attached. 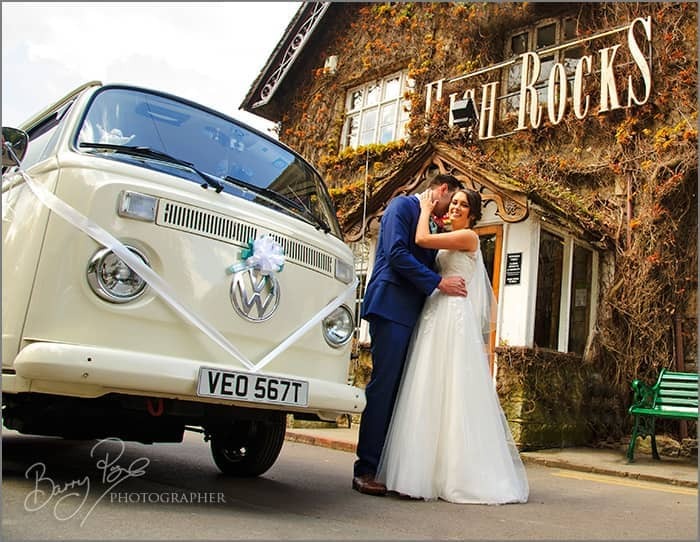 On the day Tom proposed, Rachelle expressed the one important wish she had for her wedding day – to track down the current owners of the camper and see if they’d be willing to take her to the wedding. With the help of her Uncle Bob the camper’s owner, Mick, was found and luckily he was the perfect gentleman, delighted to oblige. 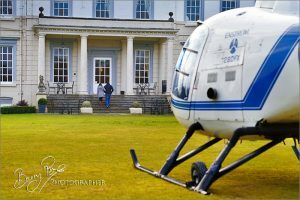 The couple can’t thank him enough for making a dream come true, a memorable touch that meant the world to the bride, her mum, dad and sisters. 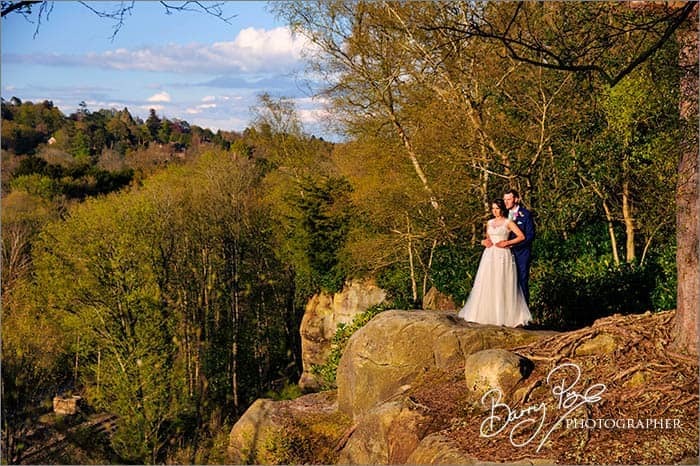 The videographer for the day was was Carol Navis at Cut Above Productions and, of course, the wedding photography was my job, a role I particularly enjoy when faced with a venue as spectacular as High Rocks. 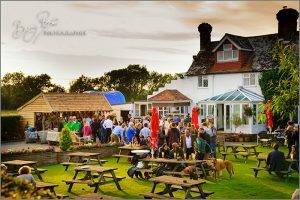 If you’re searching for the ideal South East wedding venue, I can’t recommend it highly enough.